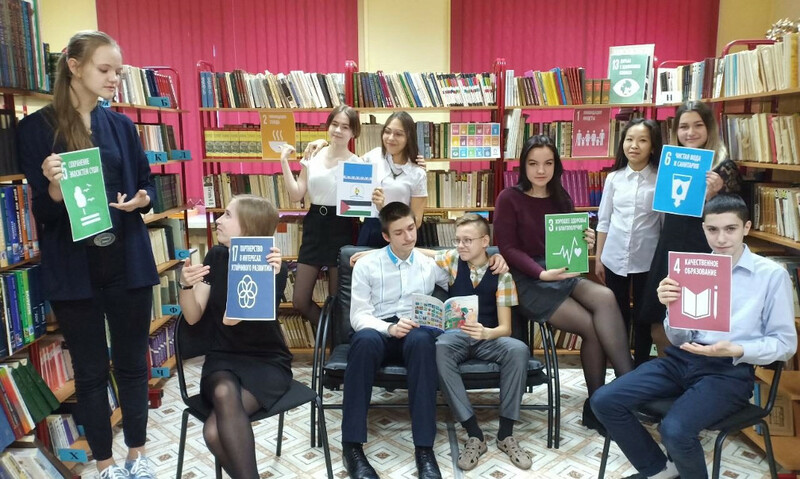 Schoolchildren from Yamal once again have the opportunity to present their social initiatives in the United Nations Organization. The team of pupils of the 7th forms from the settlement Kharp became the winner of the international contest “Notebook of Friendship: Uniting Children of the Earth” in the nomination “Different countries being friends”. For the first time schoolchildren from Yamal were recognized the winners in 2017, in Geneva the ideas of the representatives of Yamal were presented by Anastasia Shevchenko. This year more than 1500 students from 43 regions of Russia, Great Britain, Bulgaria, Palestine, Lebanon, Syria, Algeria, the Republic of Uzbekistan and other foreign countries exchanged ideas on solving global problems and put the ideas into practice. During three years the contest brought together thousands of schoolchildren around the world with ideas for social and ecological alterations in support of 17 Global Goals for Sustainable Development. Schoolchildren try to solve problems of hunger and poverty, plastic pollution, education accessible for everyone, health of the nation. “This contest unites children and grownups, makes them think about the world’s problems and look for their solutions. This is a contest for non-indifferent and seeking children”, said the head of the project, the chairperson of “The Association of children and youth associations of Yamal” Svetlana Openko. According to politicians, the contest develops public diplomacy of children and youth on topical issues of the global agenda, strengthens interpersonal relations and ties between generations. Representatives from each of the teams-winners will be invited to participate in the international conference Inclusive Volunteering #INFOCUS, where they will be able to present their projects in support of the Global Goals for Sustainable Development to the world expert community. The conference will be held from the 11th to the 13th of June at the Geneva UN Office (Switzerland).